Rhodia Dot Grid Notepad - Rhodia offers a wide selection of different notebooks. I use their dot pad notebook for practicing hand lettering and absolutely, love it. The paper is super smooth, and the dots make it so that I don't have to measure everything out, which is a bonus. Renovatedbooks.etsy.com - I received one of these sketchbooks from my husband and was just tickled pink. It is an incredibly thoughtful gift, especially if you can get a book that you know your loved one likes. Archer and Olive sketchbooks and dot grid notepads - Bonnie over at Archer and Olive, creates beautiful sketchbooks and dot-grid notebooks. I love the simple design of the sketchbooks, and they are the perfect size for on the go. I use these with my markers and never have trouble with bleed through plus the paper is nice and smooth. Personalized Vinyl Sketchbook - This is another cool sketchbook from Phonoboy on Etsy. The cover is created from a real vinyl record, plus you can customize the wording. CreativeLive course - CreativeLive has a ton of courses, but unfortunately, I don't think they offer gift cards for the wholes site at this time. However, you can purchase a class and give it as a gift. They have a gift guide to help you through the process here. Skillshare - Skillshare is a great option for gift giving because you purchase a gift card, have it sent to them on your timeline and then they can activate their membership. Once a member they can take as many classes as they would like, making Skillshare the gift that keeps on giving. If they are interested in watercolors, I would recommend Neesha Marani's class, Watercolor with Simple Feathers. I offer a few book ideas below but, the book you get is going to depend on the person you are gifting it too. If you know them well enough to know what they are into you can just do a simple web search to find out what has good reviews in that category for a place to start. Steal Like an Artist or Show Your Work - I don't think you can go wrong with either of Austin Kleons books, they are both quick reads and a good confidence booster. Drawing on the Right Side of the Brain - For those learning to draw this is an excellent starting point. It is heavy on the reading and has projects throughout. 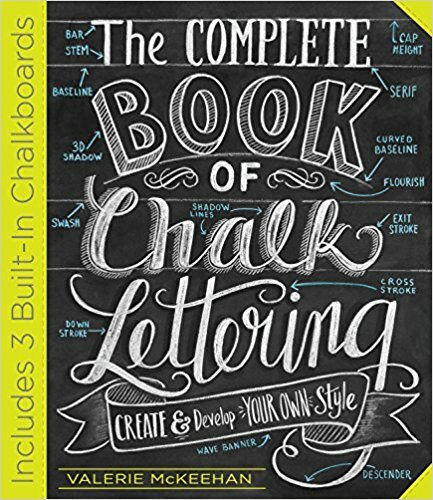 The Complete Book of Chalk Lettering -I have mentioned this book before, but I think it is among the best introductions to hand lettering. Your favorite artist probably already has some of there favorite tools on hand. The thing with really nice paints and markers are that they run out and they can get expensive. So if you know what their brand of preference is, they will love it if you go ahead and buy them another set. I have listed a few favorite brands below. Eco Line Brushes and Watercolors - I have not used this brand myself but will be ordering some very soon. They are all the rage on Instagram for brush lettering, and the colors seem incredibly vibrant. Tombow Dual Brush Pens - I use these for brush lettering and love their blending capability. However, I did ruin quite a few when I was just starting out and needed to replace them. Akashiya Watercolor Brush Pens - These have excellent reviews and were recommended by Dina Rodriguez over at Lettershoppe where she teaches hand lettering. Micron Pens - These are the best pens for inking but do run out quickly, especially if you are an avid doodler. 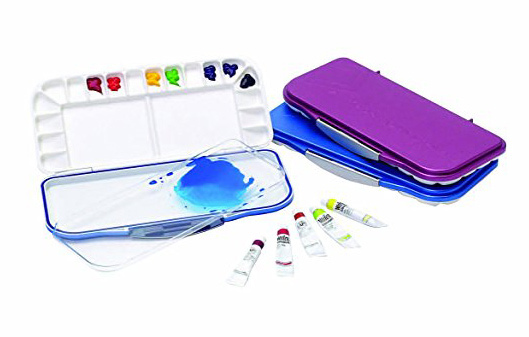 Paint On the Go Case - This case was recommended to me by a water-coloring artist Deidra over at Spirit Greetings. She takes it with her when she is on the go and swears all her classmate's comment and asks "where they can get one?" 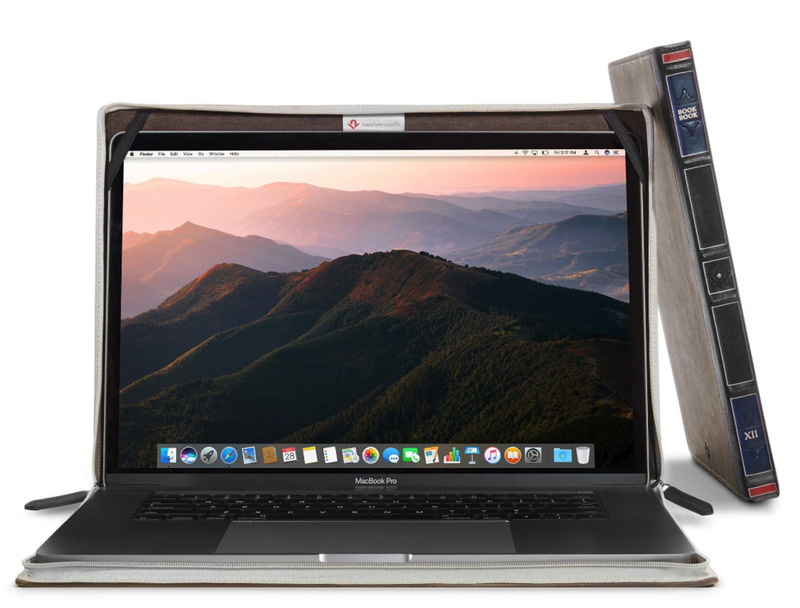 BookBook by twelvesouth - Do they have an ipad or a lap top? If so this could be a pretty sweet gift. It is a cover that looks like an old book. It looks cool plus if it gets left behind for a second people just think its an old book not worth much. Marker/Pencil /Paint Case - A nice zipper bag to hold a few of their tools can be helpful. The style you get will be based on who you are giving it too, but a great place to start is on Etsy. You can get as specific as you want when it comes to giving apparel but I link to just a couple of items that could fit the bill for any creative. Trust the Process pen - I always forget to "Trust the Process." Having little things like this pen around is a friendly reminder to keep going and not compare my unfinished work to other peoples finished work. Artful Blogging "For the Blogger"
Flow "For the paper lover"
TapRoot "For Makers, doers and dreamers"
UpperCase "For the creative and curious"
HOWDesign " For the graphic designer"
These gifts are thoughtful but might fit the bill if you need something a little less specific and more universal or a Stocking Stuffer. Bar Soap crafted after famous paintings -This would make a nice hostess gift. Watercolor phone case from Mascot Case -This is perfect for the watercolor artist in your life. Spii Graphics, LLC is a participant in the Amazon Services LLC Associates Program, an affiliate advertising program designed to provide sites a way to earn advertising fees by advertising and linking to Amazon.com. This post contains affiliate links. However, I will never recommend anything I don't personally love!